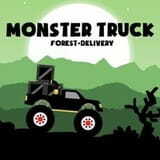 the Problem of the player in Monster Truck consists in delivery of cargo to destination. On road of all sort of an obstacle will prevent to carry out this purpose. Only the driving great skill will help you!